There are many different types of heat pumps available on the market, such as thermal heat pumps. These are there for the specific purpose of heating your home. One such alternative would be geothermal heat pumps (GHPs). The way in which heat pumps work is that they move air from one area or space to another. It is therefore also the best for energy saving overall. These pumps make use of the environment from which to draw the heat which is then transferred into your home. In this instance the thermal heat pumps are also known as geothermal heat pumps or ground source heat pumps. 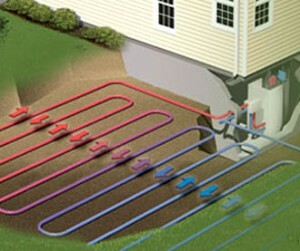 The difference with this particular heat pump from others is that they draw heat from the ground and not from the air. In summer, the opposite would be true. The heat is extracted from your home. First of all, the pump does not make use of any fuel to burn and generate the heat. It collects the heat from the underground heat in your backyard. It makes use of a ground heat exchanger to do this. There are a number of pipes, which is installed beneath the ground. This is called the loop. Water is circulated through the pipes collecting the natural heat in the underground and is transferred to your home. The compressor and the heat exchanger inside the home compressors and concentrate this air into a higher temperature which is then released into the home. This heated air is distributed throughout the home through ducts, with the assistance of a fan. 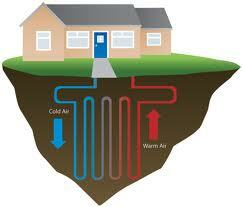 The process is reversed in summer, where the hot air is removed from the home and moved to the underground system. This system could also be located in a pond or a lake. Hence, in this instance, these would be referred to as water-source heat pumps but will still fall within the category of thermal heat pumps. There are a number of different models from which to choose. 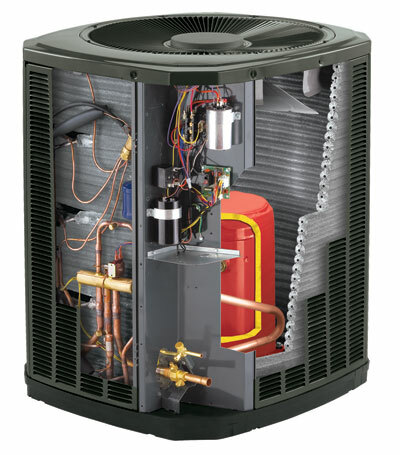 Some of these models have two-speed compressors and variable fan speeds, which adds more comfort and energy saving. It is also best to have this heat source operate with under floor heating as opposed to radiator heating or even duct heating. With a high-density polyethylene, that is not only strong and durable, but would allow for the heat to be absorbed through it. The joints of these pipes are heat fused into a closed system. Another type of material is copper tubing which is long lasting as well as being able to relay heat and cold very well. That you should know that this is not a ‘Do it Yourself’ (DIY) project. Horizontal ground closed loops – this is for when you have a large enough backyard to have the loops laid down horizontally and is often the least invasive and most cost effective. Vertical ground closed loops – this type is usually for when you have a small space to work with. This would require drilling vertically for the loops to be installed. Each loop would be provided with a ‘well’ for it to be inserted. It might be more in terms of cost than for the horizontal loops but you do not require as many pipes for it. Pond ground closed loops – this is the most cost effective system, especially if you are close to water, as you need only submerse the loops under the water. You could also have it coiled to make the most of the space you have available. If you do use a nearby lake, it will not have any effect on the environment as this is a closed system. The digging of trenches and the fact that the connecting pipes of thermal heat pumps should be heat fused is an indication that you should make sure that you get an efficient and certified contractor to do the work for you. They would be able to calculate the exact amount of piping you would need for your loops for the available space. There are also existing pipelines and other systems to the home which a licensed professional can locate easily and not drill into. You would also be assured that they would follow the procedural guidelines set by the International Ground Source Heat Pump Association (IGSHPA). The fact that the heat obtained from the underground is much more stable and constant than the heat which can be gained from the air. You are able to supply your home with heat as well as a cool environment during summer. In most instances you are also able to supply your home with hot water with the geothermal heat pumps. It is a green product in that it uses natural ‘fuel’ as its source and, according to research, seventy percent of this energy is renewable energy. It is one of the most cost effective, comfortable, efficient and quiet heating and cooling systems on the market to date. Even though the initial installation can be more costly than other systems, the long-term saving is between thirty to forty percent off your utility bill. You have a simple straightforward system that would require very little maintenance and repair as it is protected underground. The condensing units are not on the outside, thus making it much quieter than the normal heat pumps or air conditioners. This is also what would drive your costs a lot lower. You are able to install an extra device called a “desuperheater”. This is utilized to heat household water, circulating it into the normal water heater tank. In summer, with the reverse process, you are able to heat your water free of charge. However, during times when the temperatures are milder, you would need to use your regular water heater. The cost of thermal heat pumps, as already mentioned, is mostly high in the initial stages. This is when the system needs to be installed. The cost would also include drilling, for example. The drilling is optional in terms of whether you have to install vertical loops, because of the limited space you have available. Even if you do have enough space and you are installing horizontal loops, the terrain might also require drilling. This would be an added cost and it will vary from place to place. After thermal heat pumps are installed, it is possible to have it running for between twenty-five and fifty years. This is the guarantee that is most often placed on these systems. The guarantee is often set at twenty five years for the inside components and fifty years for the ground loop. Maintenance is easy as most of the inside components are small and are easy to access inside the home. The geothermal heat pumps are much more durable than any other heat pumps available and hence the generous guarantee. 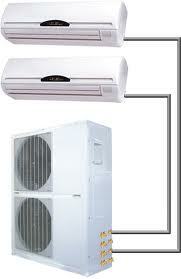 Thermal heat pumps come highly recommended and highly rated by those who have installed them. This is especially when they are compared to other heat pump systems.